Raven and the Writing Desk: Happy Memorial Day! 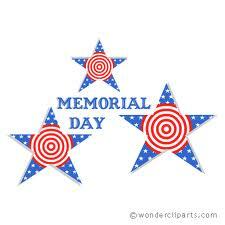 In the U.S. today is Memorial Day where we remember our soldiers who have fallen in times of war. We may not always agree about the reasons for war, but it's good to take a moment to think of those brave men and women.